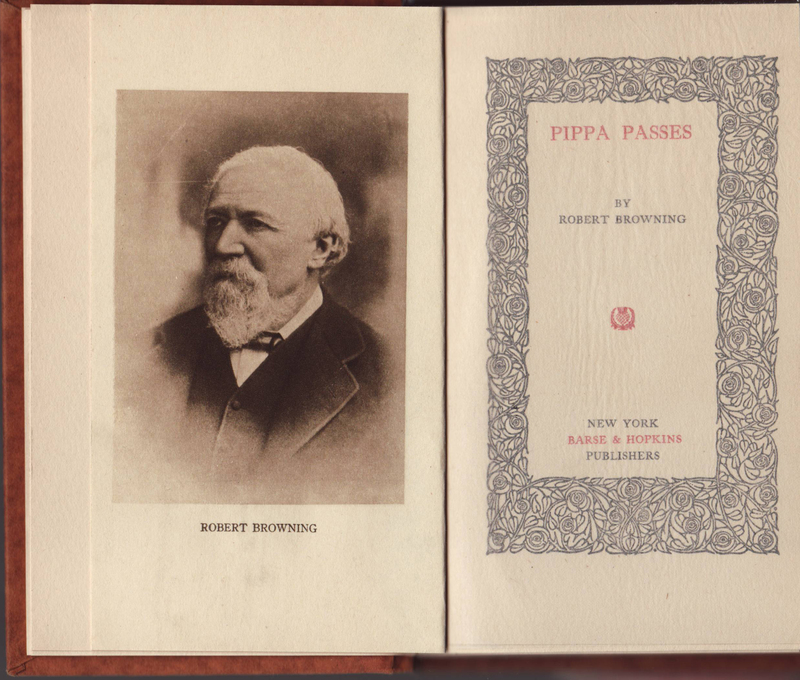 Barse & Hopkins began publishing in early 1910 after purchasing the publisher Brewer, Barse & Co. of Chicago. Among the initial series published by the firm were the Golden Books, a boxed gift series sold for .50 cents each. The series initially 30 titles and expanded by at least a dozen titles over the next few years. The last advertisement for the series appears in 1920. 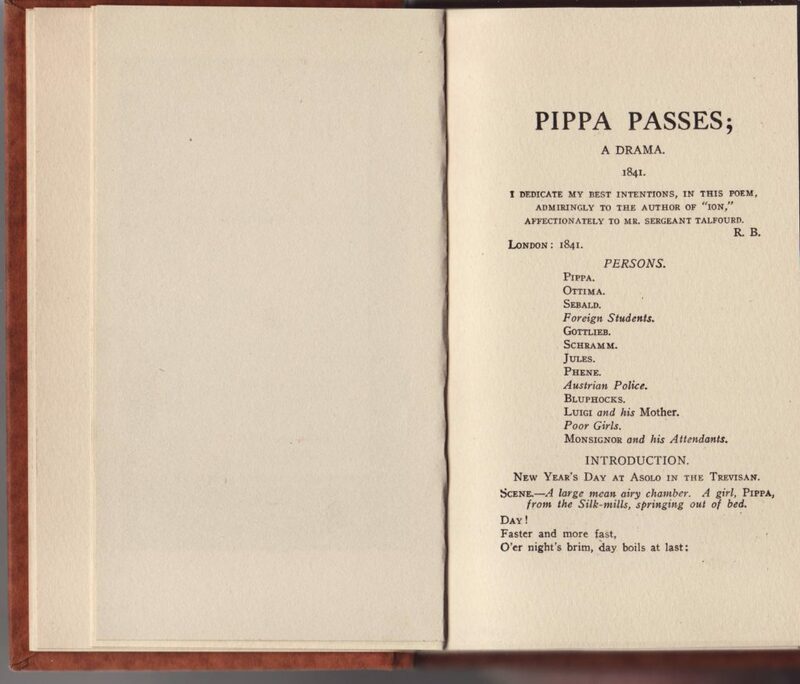 The titles are mostly short works: plays, poems, short stories, etc. 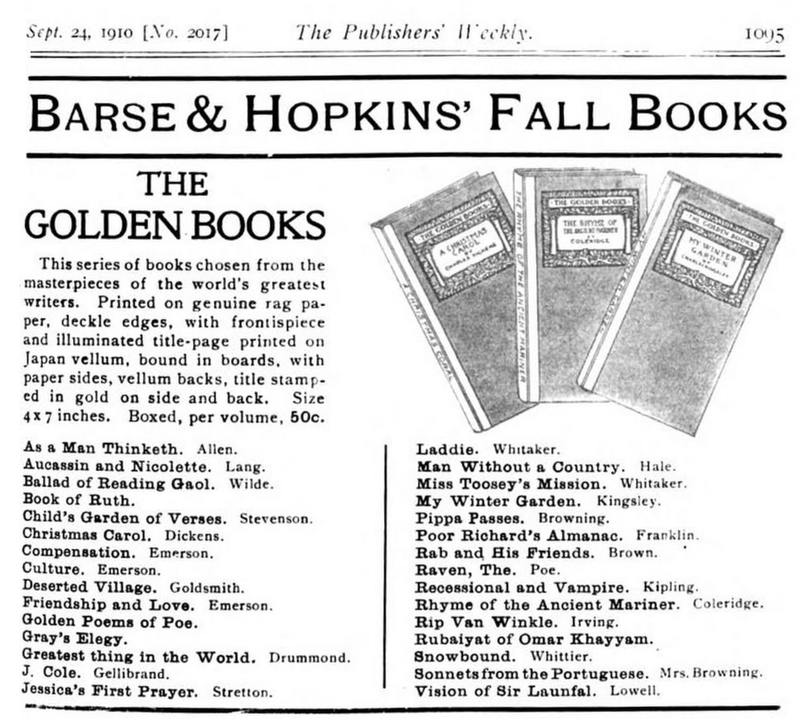 An advertisement for the Golden Books appears in the Publisher’s Weekly, September 24, 1910. The series boxes are the only place the series name is indicated: on the edge, a glued label includes the series name, title, and publisher. The box consists of cardboard with printed paper glued to it. The pattern is meant to look three-dimensional. 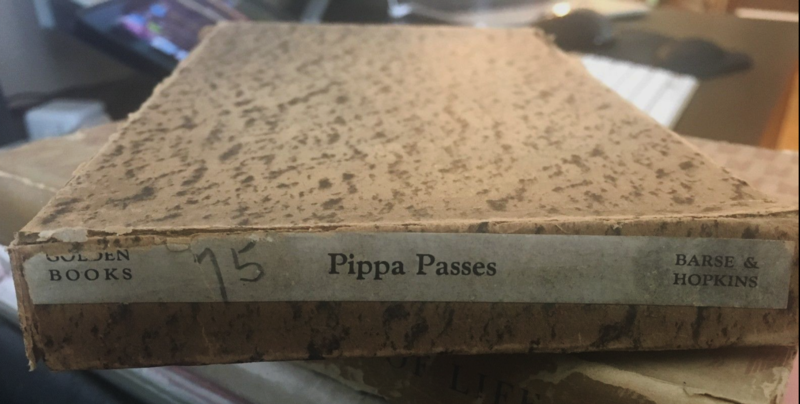 This book is Browning’s Pippa Passes. There is no date in the book. Bindings are in “Japan vellum” over boards. The tan material includes the title and author in gold, with an inverted debossed pattern covering the front cover. 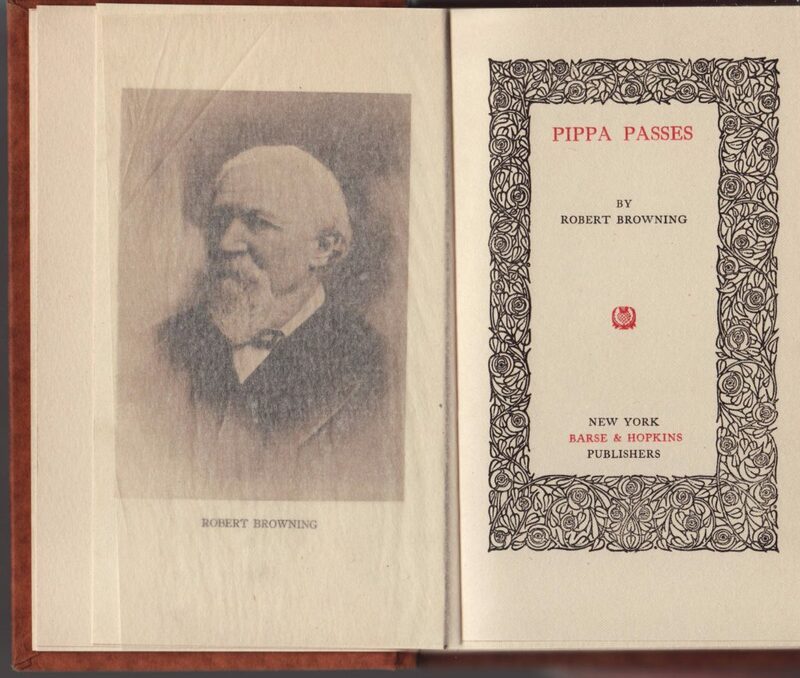 The books may have been wrapped in tissue (some Barse & Hopkins books were, others were not). 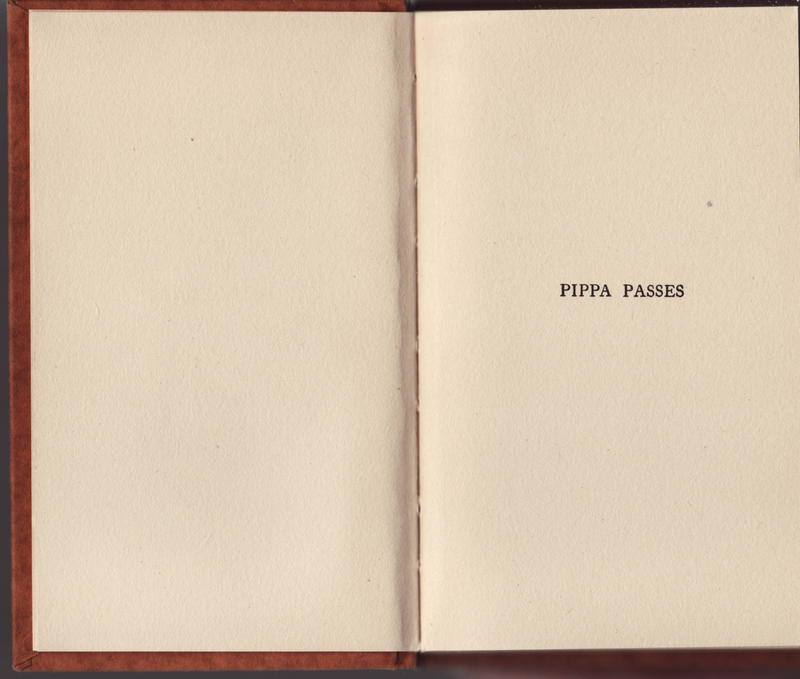 The half-title page. The rag paper is slightly heavier and has not yellowed indicating it was above average in quality. 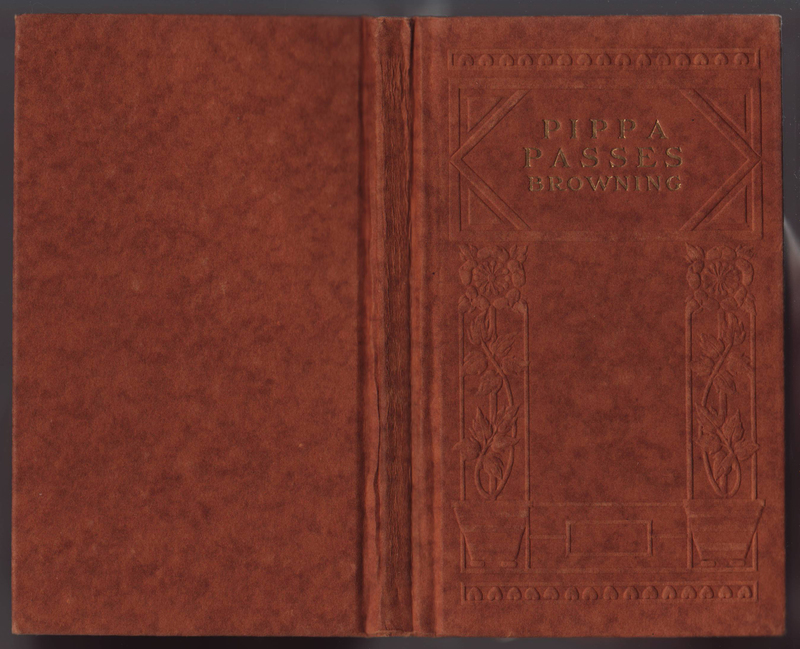 A frontispiece of Browning faces the title page, separated by bound-in tissue.